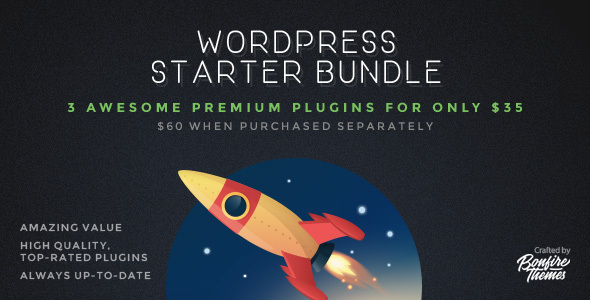 The WordPress Starter Bundle is a collection of top-rated plugins designed to spice up and add useful features to your WordPress website. All plugins are filled with well thought-out features and heaps of customization options to make sure they effortlessly fit in with the rest of your design. The plugins have tons of amazing reviews and have evolved through customer feedback, so you can be sure the bundle consists of true value at an unbeatable price; purchase and save nearly 50%!